After the Apple Watch was introduced in the Spring of 2015, I wrote a short post entitled “Which Watch.” Twenty months later, I finally purchased one. I did get the Space Gray 42mm aluminum with black fluoroelastomer sport band. Since I waited so long, I had a choice between the Series 1 and Series 2. Target made my choice easier due to a Black Friday discount on the Series 1. I was originally planning on making this an unboxing photo essay, but it’s now been almost a year, so what’s the point? The introduction of the Series 3 has prompted me to come back to this draft post and wrap it up, finally! I did have an Apple Watch prior to the introduction of what the tech community is now calling “series 0,” however. Even though it thought different [differently? ], it was not smart. So I was glad to upgrade to the Series 1. It has been a fun 11 months with the Watch Series 1. I use it primarily for notifications, a remote for playing audio from my iPhone 6s, and, in the last six months, walk workout fitness tracking. Having the watch has motivated me to get out and move more than I had been in many years, so I think it has been a good investment. So, there you have it. I’ve incorporated the Watch into my daily routine. Now, another decision has to be made. Do I upgrade to the Series 3? And if so, do I go for LTE? Do I want an  Watch? Yes. Do I need an  Watch? Probably not. Will I buy an  Watch? At some point, yes. Which  Watch? 42mm Sport with black fluoroelastomer band. But first I want an iPhone 6. And before that I need a new Mac. I neglected to mark the day on June 29, the seventh anniversary of the original iPhone’s launch. I didn’t own or use an iPhone until 2009 (iPhone 3Gs), but my computing life sure has changed due to the iPhone. I’ve had a Space Gray iPhone 5s since mid-November, 2013. I have put off getting any kind of case, wanting to see how if fares naked under normal use. I did apply a screen protector film on the face (since it came at a discount from Best Buy when I purchased the phone), but that’s the only protection it’s had—up to this point. 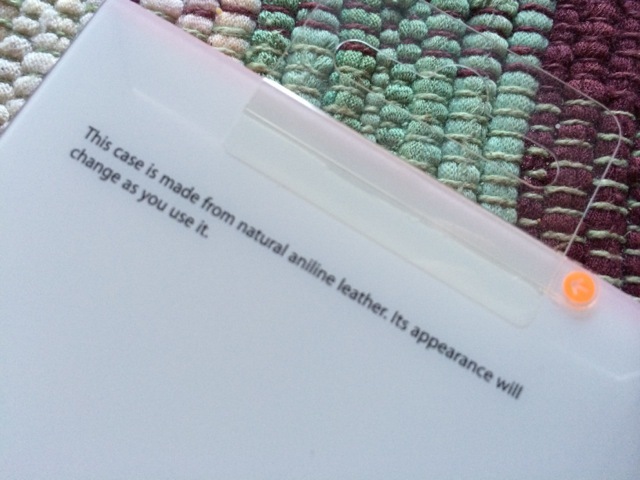 Yesterday, I put my iPhone in one of Apple’s leather cases. 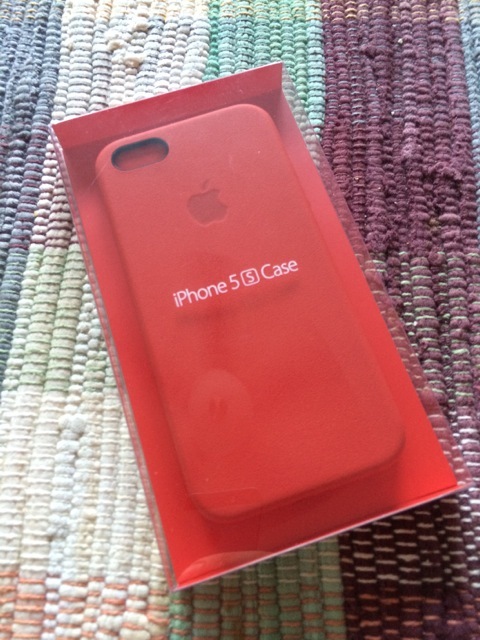 I wanted the (PRODUCT) RED™ case—because I like the color red and I like that a portion of the purchase price is donated to the Global Fund to fight AIDS in Africa—but our local Best Buy only carried the black and brown ones. (Aside: there are a number of reasons I chose to purchase from Best Buy instead of directly from Apple or some other retailer, but I won’t bore you with that story.) 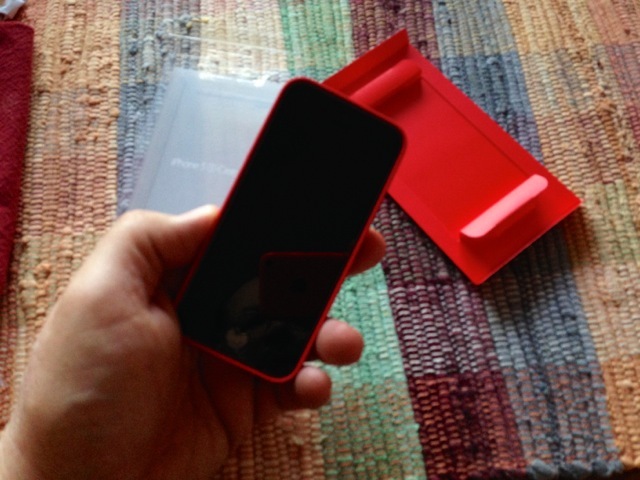 So I ordered one for in-store pickup early last week and it came in—and I picked it up—yesterday on my way home. 1. 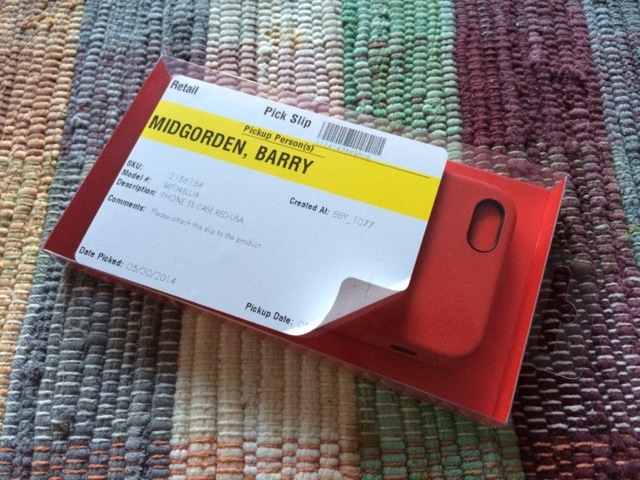 First I removed the ugly shipping label that Best Buy applied to get it to our local store. 2. The front of the now pristine package. 3. 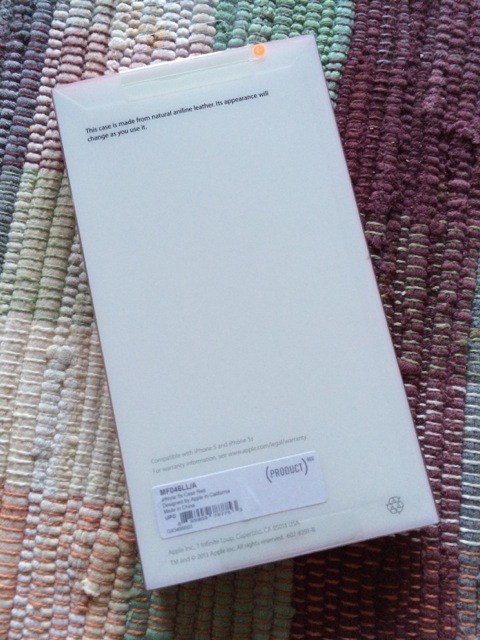 The back side of the package. 5. 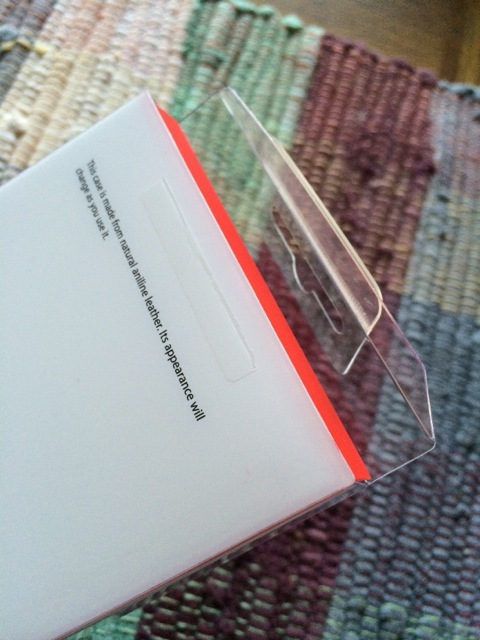 After ripping off the plastic strip, the top opens easily. 6. 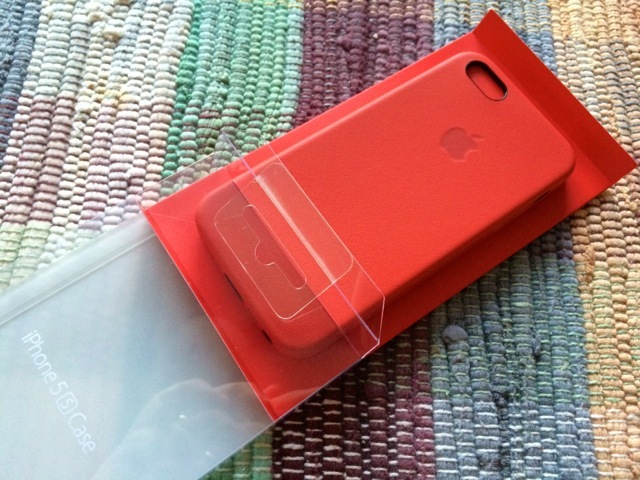 Once opened, the case and cardboard backing easily slide out of the plastic package. 7. 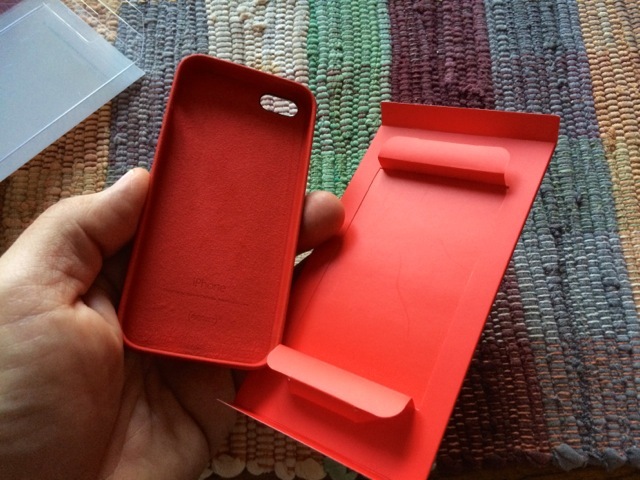 The leather iPhone case just pops off the cardboard backing. After which, the phone easily popped into the leather case. 8. 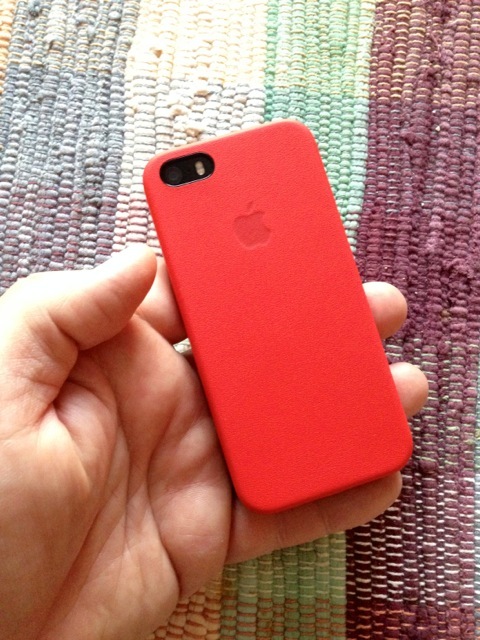 The front of my iPhone 5s, now in the red leather case. 9. The back of the case protecting my iPhone 5s. Such a pretty red.